The inaugural Book Podcaster of the Year category was awarded to Alex Reads and Raifa Rafiq for Mostly Lit. The Mostly Lit podcast, hosted by Alex Reads and Raifa Rafiq and produced by Clarissa Pabi, chronicles the millennial experience, exploring the intersection between literature, film/tv and pop-culture, highlighting how books are often a key part of the zeitgeist. The judges said: "Mostly Lit is a highly professional, exciting and fresh books podcast that has provided a vital new voice in the industry. We are so excited to present Mostly Lit as the first Book Podcaster of the Year winners!" A special mention was also given to the Down the Rabbit Hole podcast "for their pioneering content for the children’s book market." Literary Friction by Carrie Plitt and Octavia Bright, and Sentimental Garbage by Caroline O’ Donoghue made the shortlist. Laura Hartley won the Book Blogger prize for What’s Hot, beating Rea’s Book Reviews and Travelling Book Junkie who were shortlisted. Hartley’s blog combines a love of books and travel, as she finds the best literary places to travel, and shares the best literary experiences from around the world. "The What’s Hot? blog has original content ideas and a beautiful layout. The posts are really well edited and it’s great to see detailed, thorough reviews," judges noted. Abbie Walker’s @ab_reads (40k followers) was crowned Bookstagrammer of the Year for "its thoughtfully laid out Instagram, with every third post themed. Abs_reads champions both new and second-hand books, covering lots of genres. It’s lovely to see not too polished, well-read book jackets in the beautiful images!" @foliovore and @bestbookforward were also shortlisted, with the latter being highly commended by the judges, who said while "a fairly new account, we loved the passion for @bestbookforward’s bookstagram and are really excited to see how it develops." Georgia Mannering’s Rose Reads took home the Booktuber of the Year, with her channel reviewing books, touring bookshops and sharing stories of her travels. The judges praised it for "a personable style which draws the viewers in, covering books old and new" and gave a special mention to her 5 Mini Book Reviews, saying they are "particularly entertaining and informative – a real joy to watch on the go!" The Book Belle and Jean Bookishthoughts completed the Booktuber shortlist. 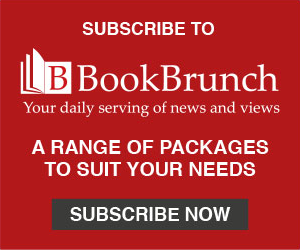 The London Book Fair UK Book Blog Awards were held at 3:30pm on 14 March 2019, hosted by LBF Author of the Day Holly Bourne. The judging panel were Paul Black (publicity director at Andersen Press), Rosie Beaumont-Thomas (events manager at Waterstones) and Shahroo Izadi (author of The Kindness Method). Helen Clifford, marketing manager of The London Book Fair, said: "Social media influencers play a vital role in the publishing world, and we are thrilled to be able to recognise podcasters for the first time along with bloggers, Youtubers and Instagrammers at the UK Book Blog Awards. These winners are a fantastic representation of the passion, dedication and knowledge that makes the book influencer community so important."